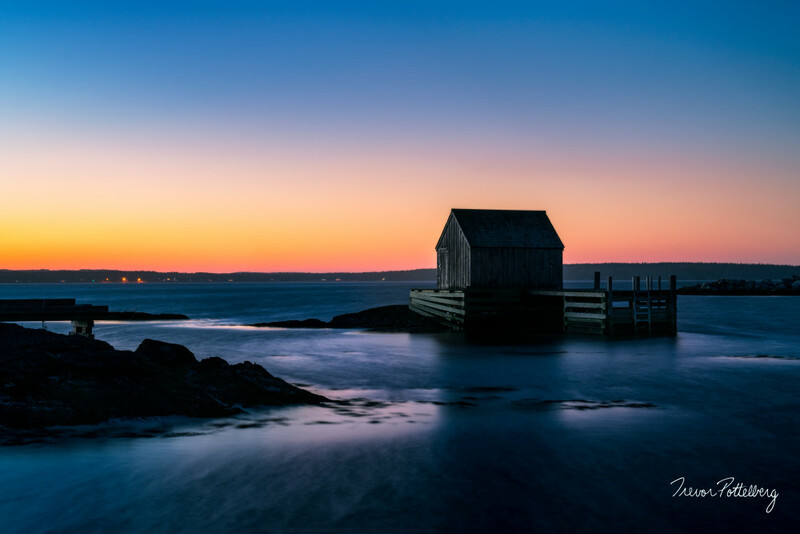 "Moody Blues" - by Trevor Pottelberg, featuring a silhouetted rustic boat house at high tide as the twilight hour begins to set in. I am often asked when my favorite time of day to shoot is. Hands down, my fav time to shoot is after the sun has set. I love the moody afterglow colours that linger in the western sky. When most people are packing it in, I’m usually just setting up.